In a country with 157.35 Mn hectares of agricultural land, about 250-odd agritech startups are working to support a cultivating population of over 118.9 Mn. With the aim of improving the efficiency and output of the farming process, these startups are shouldering the ambitious task of revolutionising the agriculture industry in India. Two agritech startups i.e. EM3 Agri Services and Crofarm, have disclosed their funding today. Farm mechanisation services company, EM3 Agri, has secured $10 Mn Series B funding from UK-based Global Innovation Fund (GIF) and existing investor, Aspada Investments. The investment will be utilised to expand the startup&apos;s geographical reach, build new technologies and boost ecosystem capacity. Established in 2014 by Rohtash Mal and his son Adwitiya Mal, EM3 Agri provides pay-per-use farm services for every step of the cultivation process, including land development, land preparation, seeding, sowing, planting, crop care, harvesting and post-harvest field management. Farmers can access these services through a mobile app, and can also seek assistance from the company&apos;s local fulfillment centre or "Samadhan Kendra." Commenting on the investment, EM3 Agri CEO Adwitiya Mal added, "The next farm revolution is taking place through access to mechanisation. However, with a disorganised mechanisation ecosystem today, the rural economy is not able to fully realise its potential. We are pleased that GIF and Aspada are investing in building tomorrow&apos;s farm economy." The company has recently partnered with the State Government of Rajasthan to offer smallholder farmers access to capital equipment, such as tractors, harvesters and advanced farm implements. In the last three years, EM3 Agri has serviced more than 8,000 farms across central India. In June 2015, the startup raised $3.3 Mn Series A funding from Aspada Investments.Headquartered in Bengaluru, Aspada is an early-stage VC that offers seed and growth equity capital to startups in a number of sectors, including heatlhcare, education, fintech and agritech. Regarding the current EM3 Agri Services funding, Aspada co-founder and Managing Partner Kartik Srivatsa said, "Over the last two years, EM3 has been able to prove its pioneering model of Farming-as-a-Service (FaaS) to emerge as the leading independent farm services player in India. We now embark on the next phase to rapidly scale the FaaS model as well as our mobile platform for small-hold farmers to access services across the agriculture value chain. The company&apos;s proprietary access to farm-level data through its operations places it in a unique position to become a canonical leader in the sector." The Global Innovation Fund (GIF) is a non-profit fund that backs social innovations aimed at improving the lives of people in developing nations. Gurugram-based agritech startup Crofarm has secured about $783K (INR 5 Cr) from a consortium of investors, including US-based Factor[E] Ventures; Rajan Anandan, VP of Google Southeast Asia and India; and Jitendra Gupta, MD of PayU India. The investment, which took place through the LetsVenture platform, will allow the startup to gain a stronghold in the country&apos;s emerging agricultural technology industry. 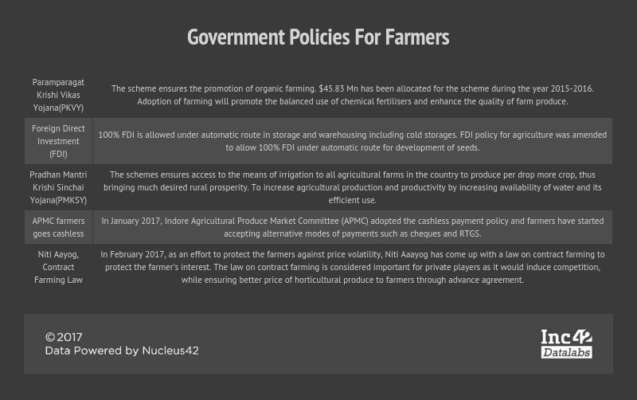 Commenting on the funding, Satyajit Suri Director - India Operations of Factor[E] Ventures said, "Crofarm uses a combination of smart logistics and a sophisticated technology platform that allows reduction of post-harvest losses, and its asset-light business model lends itself to scalability nationwide." Founded in May 2016 by Prashant Jain and Varun Khurana, Crofarm is a F2B (Farm-to-Business) venture that serves more than 10,000 farmers from Delhi-NCR, Haryana and UP. It currently services over 100 small and medium-sized retailers through its distribution centres. Farmers using the Crofarm platform reportedly earn 25% more than what they would if they sold the produce to mandis (markets). To improve user experience, the company has also partnered with Reliance Retail, Grofers, Big Basket, Jubilant Foodworks, Big Bazaar and Metro Foods. 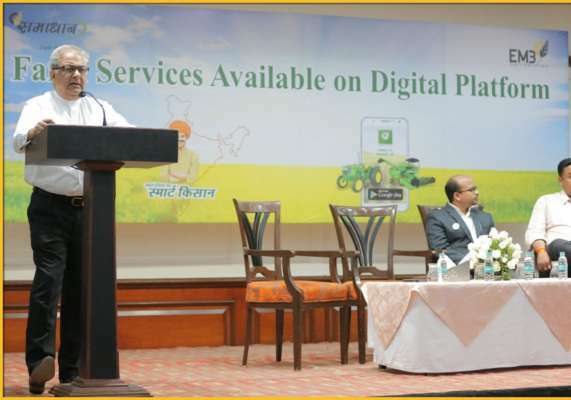 MD of PayU India Jitendra Gupta said, "Crofarm addresses a very key problem and India&apos;s agri sector has hardly seen any benefits come from technology. It is very exciting to see these entrepreneurs solving such fundamental problems that cater to the $100 Bn-plus fruits and vegetables market." At present, Crofarm generates revenue through commission, starting from nearly 5% of the price in case of less perishables like potato and onions. It makes a commission of around 15% of the price of green vegetables, and 20-25% in case of fruits and exotics. The company procures products with a longer shelf life from national sourcing zones and other products from regional sourcing zones. As per an IBEF report, the agricultural market contributes 13% towards India&apos;s GDP. Crofarm previously raised $1.5 Mn (INR 10 Cr) in Seed funding from Mukul Singhal and Rohit Jain, former Principals at SAIF Partners. Angel investors including Himanshu Aggrawal, (co-founder and CEO of Aspiring Minds); Ashish Gupta (former COO, Evalueserve); and Sunil Goyal,(VP at Paytm) also participated in the round. With more than 58% of the rural population relying on agriculture for sustenance, India currently ranks second globally in terms of farm output. According to Inc42 Datalabs, the size of agriculture and allied activities in the country underwent a near-100% growth between FY14 and FY15. Agricultural exports increased from $24.7 Bn in 2011-12 to $32.08 Bn in 2015-16; a CAGR growth of more than 6.75%. According to an IBEF report, in FY17, agriculture accounted for over $1,640 Bn (INR 1.11 Tn) of the country&apos;s GDP. To further bolster the country&apos;s agricultural production, the government has launched an array of schemes to facilitate the market&apos;s growth. Among these are Paramparagat Krishi Vikas Yojana, Pradhanmantri Gram Sinchai Yojana, and Sansad Adarsh Gram Yojana. In the 2017-18 Union Budget, total allocation for agricultural and allied sectors increased by more than 24% to around $28.1 Bn (INR 1,87,233 Cr). In May 2017, the Karnataka government announced the launch of a $1.5 Mn fund for facilitating growth of agritech startups in the state. The fund will be administered by the information technology and biotechnology (ITBT) department. 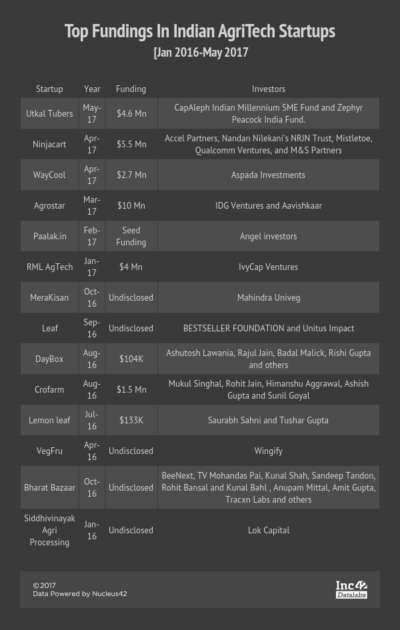 Of the 250-plus agritech startups, 53 raked in $313 Mn funding in 2016 alone. 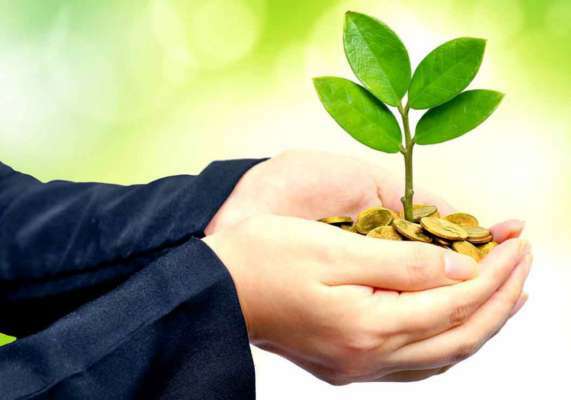 Investors that are active in the agritech space include Omnivore Partners, Future Venture Capital Company Ltd. (FVCCL), IDG Venture, Accel Partners, Aspada Investments, IvyCap Ventures, Unitus Seed Fund, Rabo Equity Advisors, SAIF Partners, Villgro Innovations Foundation, Qualcomm Ventures and IDFC. In March 2017, Pune-based AgroStar raised $10 Mn Series B funding from Accel India, IDG Ventures, and Aavishkaar. A month later, Chennai-based fresh produce distribution startup, WayCool, secured $2.7 Mn from Aspada Investments. In May, Utkal Tubers $4.6 Mn (INR 30 Cr) early-stage funding from CapAleph Indian Millennium SME Fund and Zephyr Peacock India Fund. In June, Jindal Stainless joined hands with Japanese company Future Venture Capital Company Ltd. (FVCCL) to launch an incubation centre for agritech startups in India. Despite substantial industrial growth in the last few decades, agriculture remains the unyielding foundation on which India&apos;s burgeoning economy exists. In recent times, technological advances have helped restructure the farming process into an organised, data-backed system that strives to provide a better quality of life for smallholder farmers. Increased engagement with investors has enabled several upcoming agritech startups, like EM3 Agri Services and Crofarm, to innovate new technologies aimed at improving the efficiency of all stages of the cultivation process, including crop production, distribution, decision-making and financing.